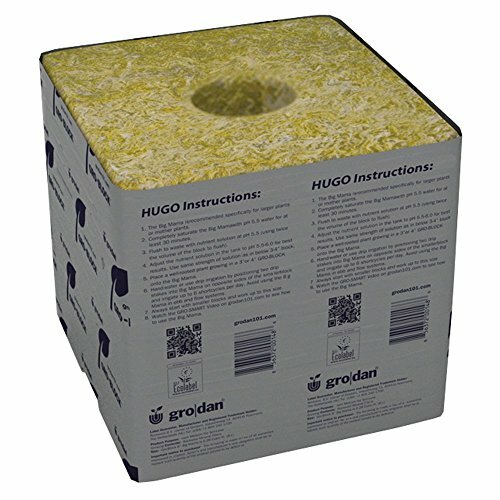 Grodan makes a variety of stone wool products. You can view the product as a fancy form of container for your plant. The container (or the stone wool) holds the perfect ratio of water and air that your plant needs. The fibrous structure of the stone wool gives your plant something to anchor in. The container or the stone wool does not provide any food for your plant. You therefore use plant food in the water each time you water. The bases of the gro-blocks are grooved to promote drainage and to avoid "wet feet"